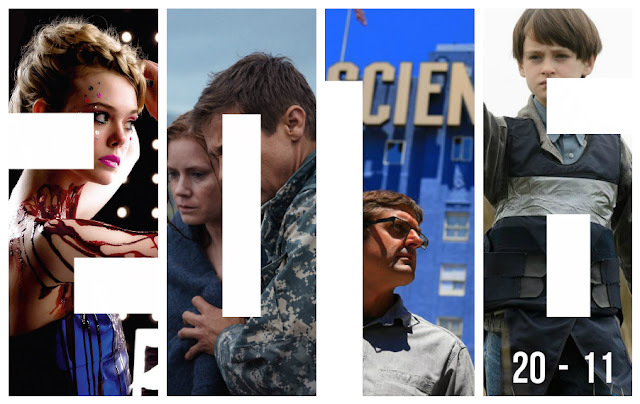 It's time - I can finally share my favourite films of 2016. In previous years, I've struggled somewhat to narrow it down to just five films and so I've decided to crank it up a notch. With so many excellent films successful each in their own way, here's my Top 20 Films of 2016 from 20 to 11*. 20. The Nice Guys (Shane Black, 2016) - Set in 1977 Los Angeles, a washed up private eye, Holland March (Ryan Gosling) comes to meet a hired enforcer (Jackson Healy played by Russell Crowe), under unfortunate circumstances. Forced to put their differences apart, the pair must form an unlikely partnership after a young woman named Amelia (Margaret Qualley) mysteriously disappears. I had expected big things from The Nice Guys and it did not disappoint. Directed by Shane Black, it oozes with retro mise-en-scene and wit, executed brilliantly by two leading men with some serious chemistry. With excellent performances from both Gosling and Crowe, it's surprising that this beautifully stylised satire went under the radar in 2016. 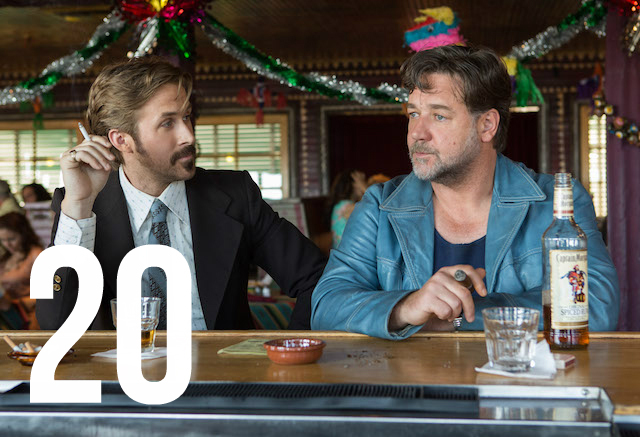 The Nice Guys goes straight in at number 20 on my Top films of 2016. 19. Captain America: Civil War (Anthony and Joe Russo, 2016) - Captain America: Civil War is the second sequel and a follow up to Winter Soldier. 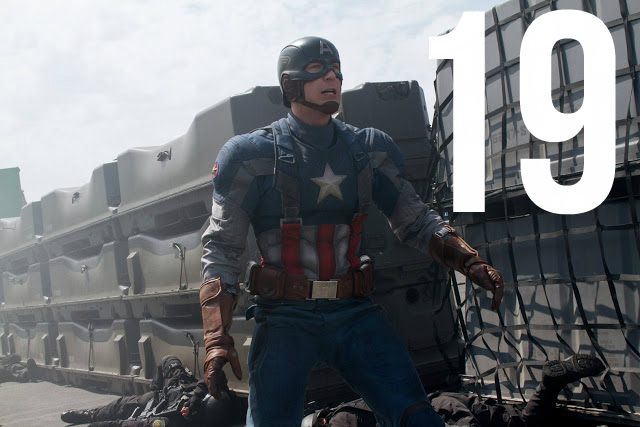 The plot follows a political interference between the Avengers, causing a rift between former allies, Captain America (Chris Evans) and Iron Man (Robert Downey Jr.). Caught up in the feud, the other superheroes must pick a side and defend the future of the Avengers and the future of Shield. This film is special to me for a number of reasons. In 2016 I was given the opportunity to interview the cast at the European Press Conference. As with most Marvel productions, there was an enormous amount of hype leading up to the release of Civil War and it certainly did not disappoint - Civil War is perhaps one of the best Marvel films to date and not just because the cast make for such lovely people. Read my post from the film's European Press Conference here. 18. 10 Cloverfield Lane (Dan Trachtenberg, 2016) - Michelle (Mary Elizabeth Winstead) wakes up in an underground bunker with two men, believing herself to being held captive by Howard (John Goodman). She soon learns that America has come under an apocalyptic attack and prepares herself to settle into life underground but is about to discover that not everything is as it seems. With twists and turns at every corner, 10 Cloverfield Lane does a fantastic job of showing us how reasonable doubt can be a powerful narrative tool. With an outstanding perfomance from Goodman, the film makes for a very impressive directorial debut from Dan Trachtenberg) - a 2016 must-see. Read my full film review here. 17. 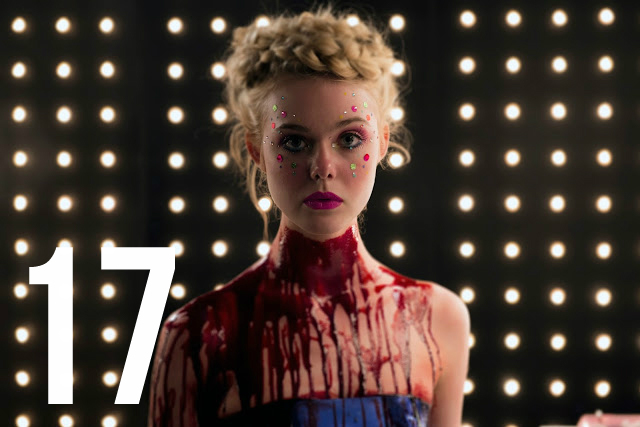 The Neon Demon (Nicolas Winding Refn, 2016) - Jealously ensures among a group of models when an aspiring 16-year-old, Jesse (Elle Fanning) takes Los Angeles by storm. Caught up in a fame and youth obsessed industry, both her innocence and vitality are devoured by a trio who will stop at nothing to possess her power. In the true style of a Refn film, Neon Demon is as hard-hitting and disturbing as it is stylised. Love or hate Refn is a lover of shocking cinema and as a creative, spectators cannot question his ability to make film-goers feel and provoke response - whether that be fear, rage or disgust - they are all equally as valid. It is an ultra-stylised, narrative which will dazzle as much as it disturbs. Read the full film review here. 16. 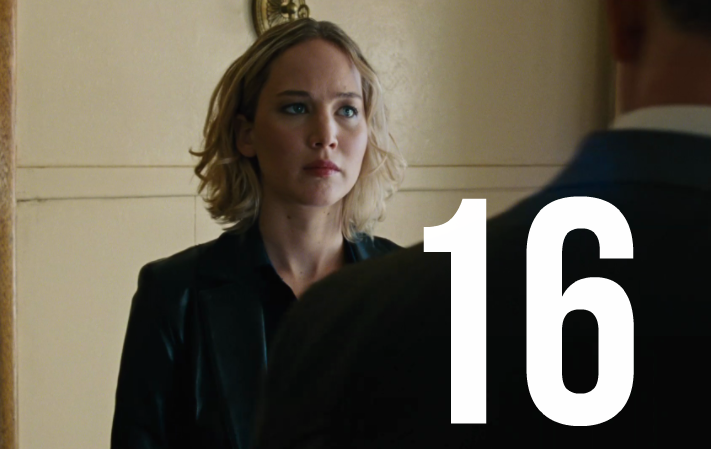 Joy (David O. Russell, 2015) - As a child, Joy Mangano (Jennifer Lawrence) longed only to create and to be a successful inventor. Fast-forward a decade and, defying all the odds and despite the constant crushing blows from her well-meaning family, adult Joy pins all those hopes and every cent on a self-wringing mop which changes her life forever. Joy saw Jennifer Lawrence bag a worthy Best Actress Oscar nomination although it can be argued that her performance held this film together. Thought not entirely without flaws, David O. Russell delivers yet another beautifully stylised production yet I couldn't help it had something missing. 15. Hail, Caesar! (Joel and Ethan Coen, 2016) - In the golden Hollywood era, Eddie Mannix (Josh Brolin) is Capitol Pictures' works hard to cover up all of the studio's scandals. As if dealing with disgruntled directors and blood thirsty gossip columnists wasn't enough, Mannix faces his biggest challenge of all when the studio's biggest star, Baird Whitlock (George Clooney) is kidnapped for a $100,000 ransom. The Coen Brothers return to write, produce and direct yet another superbly silly, dead-pan comedy. Hail, Caesar! is a triumph following the Coen's previously underrated picture, Inside Llewyn Davis (2013) which was snubbed by the Academy that year. However, unlike the darker narratives we may associate the Coen's with, Hail, Caesar! is a far more satirical piece which manages to successfully both playfully mock and pay homage to the gold age of Hollywood. With an outstanding cast, spectacularly silly humour, classic Coen editing and stunning visuals, it's no surprise that it naturally sits in my 2016 Top 20. Read my full film review here. 14. Arrival (Denis Villeneuve, 2016) - Louise Banks (Amy Adams), is a linguistics professor who leads an elite team of investigators when mysterious spaceships settle on Earth. With the United Nations concerned for their safety and on the verge of declaring global war, Louise and her crew must work against the clock to find why the extraterrestrial visitors are here. Arrival received mixed reviews from movie-goers in 2016 but personally I believe it to be an incredibly smart movie. The flm is a fresh take on the conventional sci-fi genre and will leave you guessing throughout. It grips you not with jump scares or CGI, but with the strength of its execution. Well worth a watch and it'll be interesting to see how the Academy address this come Oscar season. 13. War Dogs (Todd Phillips, 2016) - Set in Florida in 2005, David Packouz (Miles Teller) is a down-and-out massage therapist who becomes a multi-millionaire when he teams up with a high-school friend, Efraim Diveroli (Jonah Hill), supplying weapons to the U.S. government. 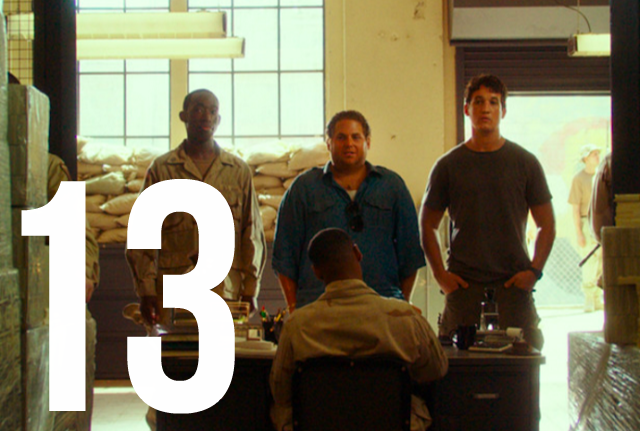 War Dogs emerges as a true success for Phillips as he enters in to the realms of dramatic storytelling and in to the big boy leagues. Hill shines as an obnoxious hustler amongst a truly meaningful and compelling true story - even if it does lose itself in parts along the way. You can read my full film review here. 12. My Scientology Movie (John Dower, 2015) - Following a long-standing fascination with the US religion and ten years in the making, Louis Theroux explores the mysterious goings-on inside the Church of Scientology. Having had multiple requests denied to speak to the organisation to directly, Theroux uses actors and ex-members to reenact some incidents people claim to have experienced whilst living within the Church. In a bizarre twist, however, it soon becomes clear that Scientologists are also making a film about Louis Theroux. In the true stylings of a Louis Theroux documentary, My Scientology Movie includes a solid dose of humour presented alongside immersive and informative filmmaking. There are some truly shocking moments as well as some genuinely hilarious scenes which makes this documentary too good to miss. 11. Midnight Special (Jeff Nichols, 2016) - Eight year old Alton (Jaeden Lieberher) and his father, Roy (Michael Shannon) are forced to go on the run from the government and a cult when they learn of his remarkable special powers. 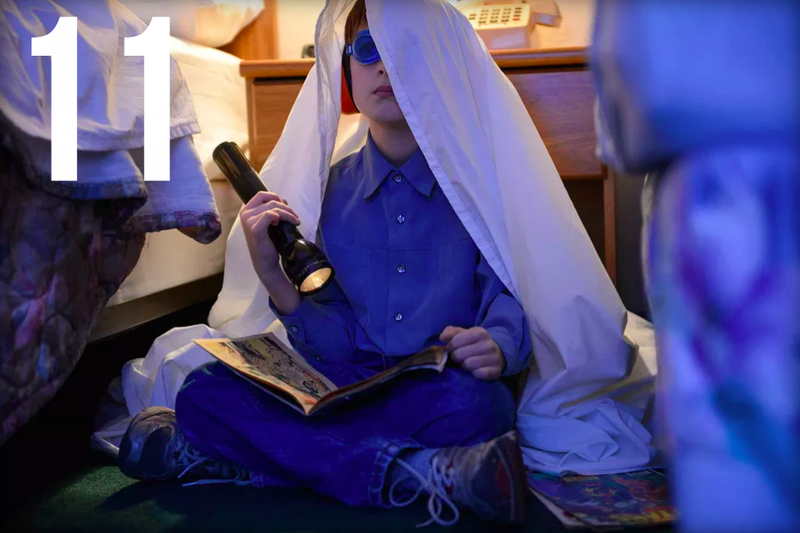 With a stunning cast of actors, a wonderfully written screenplay and stunning cinematography, Midnight Special is an extraordinarily unique and soulful sci-fi. With scenes that pay homage to E.T and classic Spielberg, it is a tribute to ’80s classics but with a refreshing 21st-century twist. Merry Christmas, Sophie! I haven't seen The Arrival yet so I might see it later today. Joy was a bizarre movie for me. I had never seen a movie about someone inventing a mop. I found the book on Eddie Mannix (The Fixers) to be more interesting than the Coen brother's movie. There is quite a bit of gossip in the book and the real names of the actors are not obscured like they are in the movie. I am excited about your top ten! Has Moonlight been released in the UK yet? What a great idea to bring the end of 2016 together! I love films + so this was right up my street, I'm still to see Arrival but I can't wait where you place the other films from this year! I loved Arrival. I could watch Amy Adams sit silently, doing nothing and still think it was one of the best performances ever. I enjoyed Joy but didn't quite buy Jennifer Lawrence as a worn-out young mum. Hail, Caesar was so much fun. I'm a huge Coen brothers fan and this film didn't have the usual dark undertone that their comedies usually do but it was really enjoyable. My boyfriend and I have been saying, "Would that it were so simple!" all year. 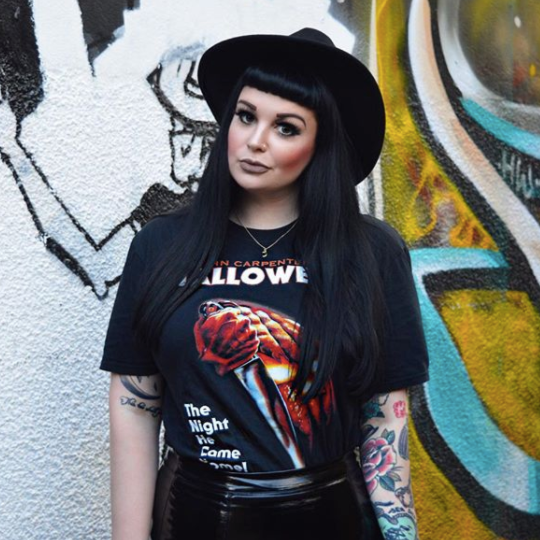 What a fantastic list, Sophie! 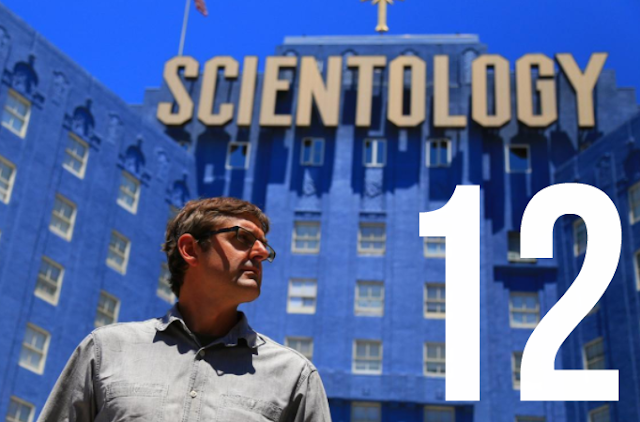 I haven't seen Louis Theroux's movie but I am fascinated with Scientology as a cult and conspiracies. I very much enjoyed 10 Cloverfield Lane and Midnight Special as excellent sci-fi films. I can't wait to see your Top 10. Hope you had a wonderful Christmas! Amazing picks! I'm a little late to the party here, but I was just scrolling through your blog and enjoying some posts! I still need to watch 10 Cloverfield Lane, which I'm really excited to do so now!